Stage your event at one of the best resorts in Thailand—celebrations at Belmond Napasai are a thoroughly tropical affair. 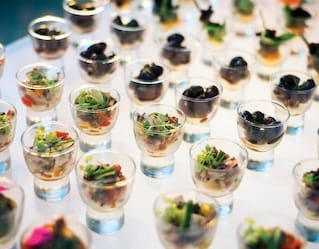 Dining is exotic, venues are exquisite and our lush gardens unfold to breathtaking ocean views. 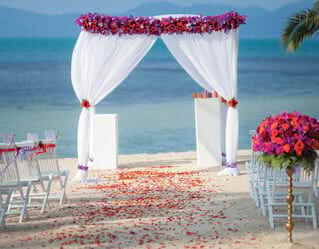 A world away from the daily bustle of Koh Samui, it’s an ideal location for destination weddings or inspiring incentives. As a vivid sunset brushes the tops of palms with golden light, raise a joyful toast with loved ones. Our lush tropical location sets the scene for a picture-perfect wedding, and our world-class facilities ensure an indulgent celebration that’s tailored to you. Whether you choose a Buddhist, Catholic, non-religious or vow renewal ceremony, relax with your guests while we take care of every last detail. Start your honeymoon with sea salt curling your hair and sand between your toes on Koh Samui’s quiet northern shores. Belmond Napasai is your own private haven as you indulge in tranquil spa treatments for two, or cosy moonlit feasts by the water's edge. For an unforgettable thrill, venture into the jungle on an elephant-back safari. However you wish to celebrate your time together, our dedicated team will make sure it’s magical. Sheltered among tropical gardens and gazing out across the sea, Belmond Napasai adds inspiration into business meetings and events. 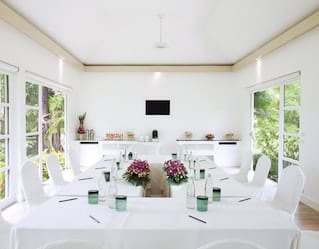 Our secluded meeting room can accommodate up to 80 guests in complete comfort, and smaller gatherings can be easily arranged in luxury villas with breathtaking ocean views. Additional facilities in our Business Lounge—including computers, printers and scanners—ensure your event is a success. For sophisticated celebrations with a Thai twist, Belmond Napasai has the edge. 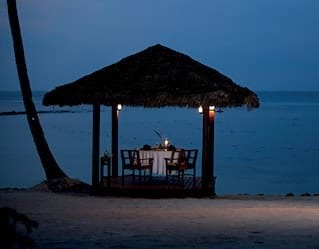 Gather together beneath the glow of paper lanterns for a Baan Tai beach feast; bond over adrenaline-pumping group windsurfing, boxing or scuba diving; relax with holistic spa treatments beneath the shade of palm-fringed cabanas. Whatever you choose, reflect on your special day with an infinity pool dip as the setting sun paints the sky a kaleidoscope of colours.